Just got word that Vinny’s 650B bike is on it’s way back from the powdercoat shop. 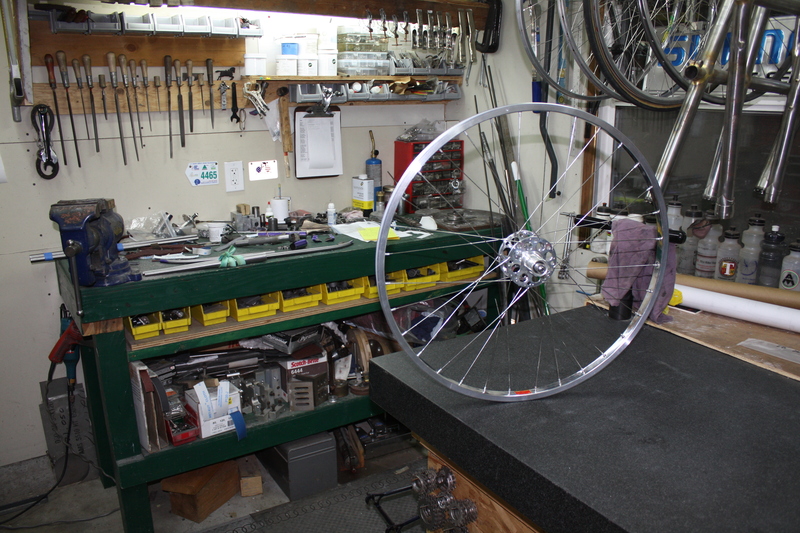 Some of his parts are here already, in fact I built the rear wheel a couple days ago using a Pacenti PL-23 rim on a Curtis Odom large flange hub. 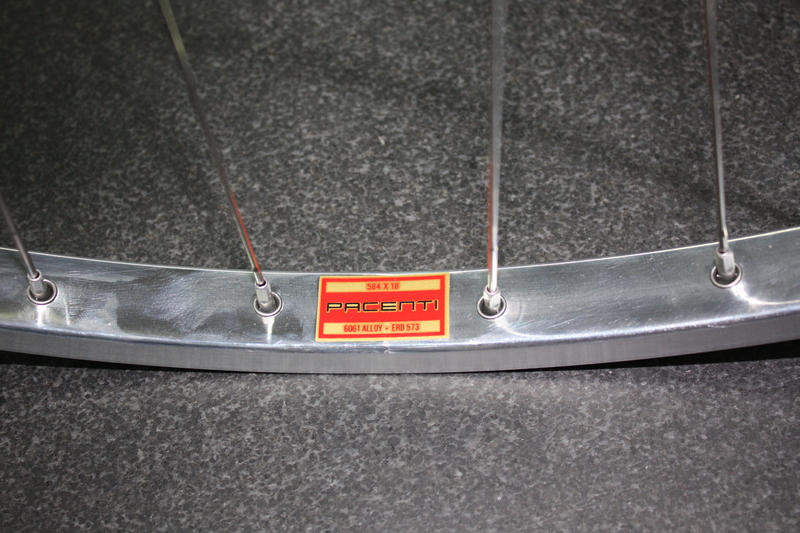 I’ve been using the Pacenti rims on my own bike for a few months now and am delighted with them. 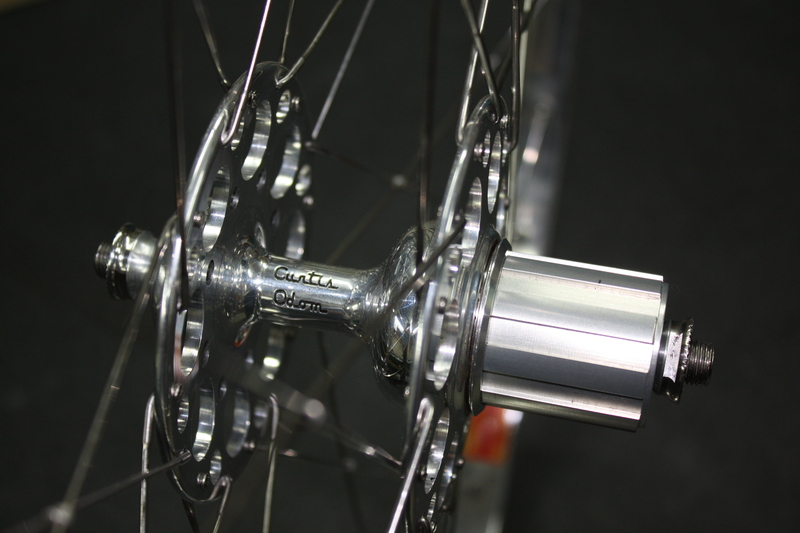 They have all the attributes one could want: classic good looks, welded seam, machined sidewall, and they’re tubeless ready. 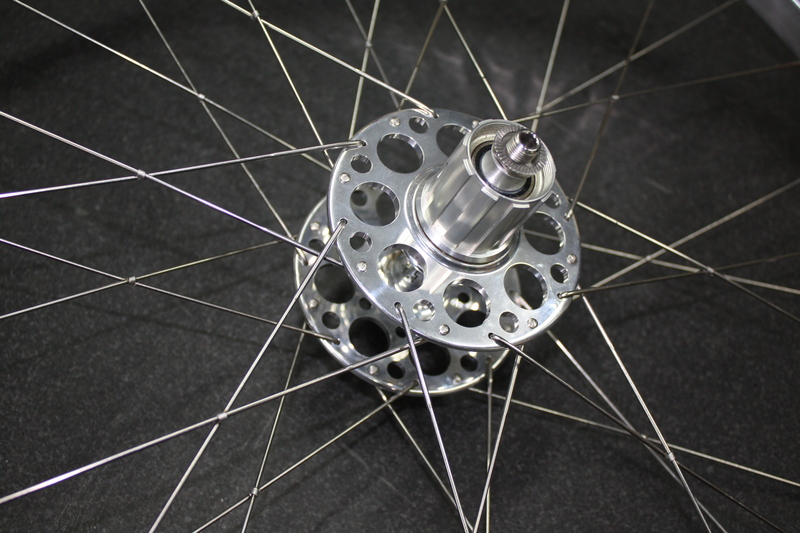 The Curtis Odom hubs are even more amazing, I only wish there was a dynamo hub for the front that looked as good. Here are a couple photos. Thanks for looking! This entry was posted on October 12, 2012 by Thompson Custom Bicycles. It was filed under Uncategorized .